Most people look ahead to retirement and imagine it will be amazing, anticipating the thrill that freedom brings. No early mornings or working late nights, time to spend doing the things you enjoy with the people you like. And yet, when retirement arrives many find it isn't quite what they expected. People are living far longer now, and as a consequence are often far more lively when they retire. So many are used to running around, living busy lives at work and at home, and the calm of retirement comes as somewhat of a shock. This is where a bit of planning can really change your experience of retirement. Chances are, most retirees have long forgotten their once treasured hobbies, or packed away creative or sporting dreams. But with a bit of planning and a little tenacity, bringing these hobbies to life can be the making of a new retiree in the early stages of retirement and beyond. A life of leisure is all well and good, but having a little structure can help ease into the big change that comes with letting go of full time working. As you enter a new life stage, you'll likely find that others are entering it with you. Whether friends you've had for life, or who you've lost touch with over the years, having a bit more time means you can invest in these relationships in a way you might not have been able to in the past. Having people over for a leisurely lunch, champagne tea, or a civilised coffee morning is one of the privileges of many years of hard work having led to a bit of time and space for freedom. Entering retirement is a time to enjoy your home and the life you've built within and outside of it. But sometimes, when spending more time in your castle, you might feel a little hemmed in. Retirement is a great time to embark on a home improvement project that gives you more space for relaxation, entertainment, hobbies or even a hot tub! This is where a garden room can be a really great investment, not just in your home but in your future. Imagine a space for your new interests - an outdoor bar, a craft room, a writers den! Possibilities are endless, and a garden room is perfect for a life of leisure. No matter what you want to use a garden room for, at Cabin Master we specialise in turning your dream into a reality. Each and every garden room we create is designed around our customer’s individual needs, and with a huge range of options available, you are sure to find your perfect garden room with Cabin Master. We believe that quality shouldn’t have to cost the earth which is why our prices start from under £10,000. We also offer various finance options, making your perfect garden room even more affordable. 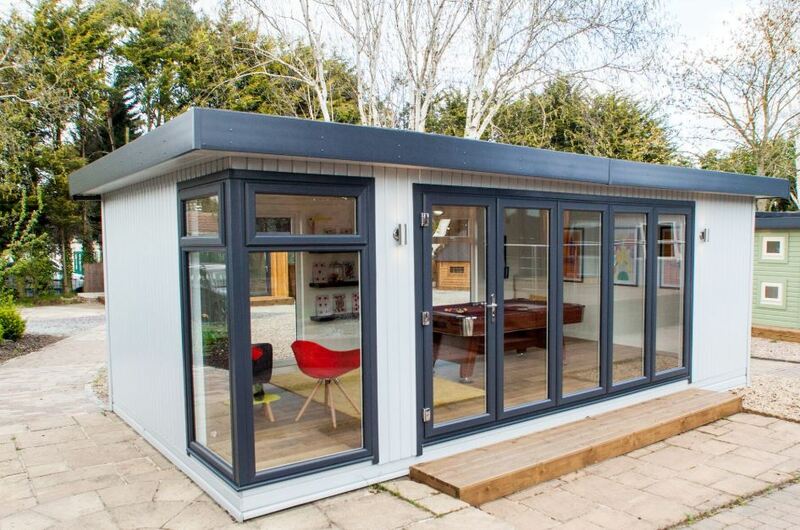 Why not get in touch today or come and see the buildings for yourself at our comprehensive show site in Nottingham, and start planning your very own garden room.